'MLM' The American Dream Made Nightmare: Robert FitzPatrick on 'Vemma', 'MLM' and the FTC. 'Unfair And Deceptive': The FTC's Prosecution Policy On Multi-Level Marketing. A proper defense of multi-level companies, Herbalife, Nu Skin and Usana, should challenge the FTC's current prosecution of the MLM, Vemma, based on contradictory and irresponsible law enforcement. For 35 years, the FTC has asserted MLM is "legitimate", yet now prosecutes one single company for practices that are endemic to the business model. This is "unfair and deceptive". MLM legality hangs on a thread of the "Amway Rules" yet the FTC has never inquired whether the rules are widely enforced or are preventing harm or deception. The defining traits of MLM produce the market consequences the FTC is prosecuting Vemma for. This is bogus. Meanwhile Vemma's top guns are busily setting up clone recruiting shops. The recent action by the FTC to prosecute a leading multi-level marketing company, called "Vemma", has aroused alarm among some Wall Street investors of similar MLM companies, especially Herbalife (NYSE:HLF), Nu Skin (NYSE:NUS) and Usana (NYSE:USNA). At least twelve publicly-traded MLMs are directly affected that represent a nearly $20 billion market capitalization. Those 12 companies alone generate $4 billion in revenue from the USA gained directly from 1.8 million households, variously called affiliates, IBOs, coaches, etc., all operating under legally binding MLM terms of "independent contractor" status. There are now, reportedly, 1,400 MLMs in the USA, with more than 15 million households investing in them annually, and millions more solicited to participate in the hallmark financial product, an "income opportunity" in a "home-based business." It is impossible now to find a household in America that has not been solicited or has not already invested in a MLM. No ordinary consumer could be expected to discern a legal difference between Vemma's proposition and that of countless other MLMs. All investors in MLM companies, on Wall Street and on Main Street, therefore, absolutely should be concerned by the FTC's action since there is little rhyme or reason as to why the FTC attacked this one company, Vemma, over hundreds of others. The FTC shows the signs of a rudderless government agency irresponsibly or incompetently wielding power over the hundreds of MLM enterprises and the millions of people that invest in them. The Vemma prosecution is part of a decades-long pattern of inexplicable and ineffectual prosecutions. The public is not protected. MLM is not regulated. Even the prosecuted parties are not appreciably affected, as most just disperse into other MLM enterprises or establish new ones to continue past practices. On Main Street, there is an additional concern over the Vemma prosecution. In the complaint the FTC not only targeted Vemma but also several of its top recruiters. High level promoters and their downlines in any other MLM could become future FTC targets for fines or claw backs. On public policy and the use of prosecutorial power toward MLMs, both avid supporters and ardent critics of MLM might agree, the FTC has gone rogue. Vemma is a current member of the Direct selling Association, DSA, which claims that all member companies' compensation plans and marketing policies are rigorously vetted under its "code of ethics," which is promoted by member companies as a gold-standard seal of approval for consumer confidence. Vemma is also publicly associatedwith one of the most trusted healthcare personalities in the world, Dr. Mehmet Oz. Vemma products have been featured on the Dr. Oz television show several times. Vemma financially supports a Dr. Oz charitable foundation, called HealthCorps (so does the MLM, Usana) at which Vemma's CEO, B.K. 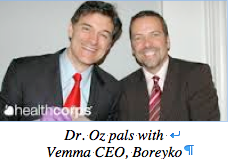 Boreyko serves as an advisory board member, and Dr. Oz has been a featured public speaker at Vemma events. Distance or Defense, Applause or Outrage? Some Herbalife defenders have rushed to claim technical differences between that company and Vemma. This article, representing only my personal perspective as a long-time advocate for clarification from the FTC regarding MLM and pyramid schemes, argues that running away from Vemma is both wrong on facts and public policy. Finding significant difference, that rises to the level of bringing a federal case, between Vemma and other larger MLMs is factually challenging to do. A correct defense by other MLMs - and by investors in Herbalife, Usana and Nu Skin in particular - should be directed at the FTC for its contradictory and inconsistent position toward MLM. Similarly, it is erroneous for critics of MLM to applaud this prosecution as legitimate consumer protection or indicative of any future FTC actions toward pyramid schemes. Advocates for proper FTC oversight of MLM should be outraged that the FTC continues to operate in this erratic and unaccountable manner, crushing an MLM of its choosing, ever few years, while remaining quiescent and unresponsive to requests for oversight. According to the FTC, more than 200,000 consumers, and far more over a 10-year span, were apparently being unwittingly duped and fleeced by Vemma, a disguised pyramid scheme. Yet, the FTC has signaled nothing new to be done to prevent future occurrences of this type. The public is expected to believe somehow the FTC vigilantly detected a Lone Wolf and swiftly acted to eradicate it. This is beyond absurd. This article argues and prevents evidence that there is no substantive basis for singling out Vemma, and, lacking no prosecution of a "major" MLM or any new policy toward defining MLM pyramids, the prosecution will have no tangible effect on reducing the pyramid recruiting activity of which the FTC claims Vemma is singularly guilty. The various elements that constitute the definition of what is called "multi-level marketing" are a tightly knit set of commercial practices that are known, studied and conducted all over the world by more than a thousand companies. (The key commercial traits of MLM are listed and discussed later in this essay.) The idea that a mainstream, fast-growing DSA member company should suddenly become a FTC target for a seizure of assets is equivalent to the FDA suddenly raiding one single McDonald's restaurant over the content of its menu. The FTC's history of rare and inexplicable law enforcement actions against MLM companies is suggestive of China's MLM regulation. The government has a clearly written anti-pyramid law under which it could shut down any MLM operating in China at any time. But law enforcement actions since the law's passage in 2005 show that the government wields the law in a possibly corrupt and demonstrably unpredictable manner, making investment in MLMs operating there highly risky. Nu Skin is the proof of MLM's vulnerability to arbitrary law enforcement in China. An article in a government-oriented newspaper about Nu Skin's cult and "brainwashing" activities prompted an immediate and massive stock sell-off. The FTC is in a similar position to enforce the FTC Act's Section 5 ban on "unfair and deceptive" trade practices. Past court rulings upholding prosecutions of "endless chains" under Section 5 as "inherently deceptive" give the FTC wide latitude for enforcement. Yet, tellingly, in 35 years, the FTC has not brought pyramid fraud charges against what would be called a "major" MLM or any that are Wall Street capitalized. Despite decades of MLM controversy, class action lawsuits, and prosecutions by states or governments of other countries - some directed at the largest and oldest MLMs, including Amway, Nu Skin, Herbalife and Avon - the FTC has never sought to enact a rule to clarify MLM's legality, as it has as done with franchising. Based on past court rulings and the FTC's interpretation of them, MLM's legality apparently hangs by the thread of what are called "Amway Rules", policies and practices that are required to prevent MLM's model, which the FTC earlier viewed as fraud per se, from operating as a recruiting pyramid scheme. The rules are said to prevent the admittedly pyramid model from financially dooming the "last one's in", which are the majority, or using its "infinite" sales chain structure as a basis for falsely promising "unlimited" income, or devolving into a "non-retail", closed-market scam, based primarily on the distributors' own purchases. Despite the critical importance of the Amway Rules to all MLMs' legality and their financial impact on investors, the FTC has never conducted any study of the MLM industry to determine evidence of MLM enforcement of the Amway Rules or to see if income-promise deception and large-scale consumer losses, which the unregulated model would inevitably produce, are in fact occurring and widespread. Besides never checking on Amway Rules enforcement industrywide, in its rare cases against MLMs, the FTC hogties itself by unnecessarily taking on the "burden of proof" on whether a company's Amway Rules are being enforced, retail sales are predominant and even divining the psychological motives of investor-consumers for buying MLM products. FTC cases against even small MLMs therefore can take years to litigate and are never brought by the FTC until years of scamming have gone by and potentially millions of people are harmed. The four-year-long case against tiny MLM start-up "Burnlounge" is more than enough evidence that FTC prosecutions are pointless and ungrounded. They also appear to be unmotivated. They are instigated by regional offices, not headquarters, or pushed by state AGs. The FTC has never asked for a national anti-pyramid law to support regulation, and it took no public position in 2003-5 when the Direct Selling Association tried to pass a federal law that would have wiped out a landmark federal court ruling in the Omnitrition case that supports current anti-pyramid law enforcement. Most recently, the FTC exempted MLM from all financial disclosure requirements. Just like Herbalife, Nu Skin and Usana and for the same reasons, Vemma is extremely popular on Main Street, drawing in over 200,000 investor/consumers. Why shouldn't it be popular? It offers a financial salvation and has operated since 2004 with no FTC interference. Vemma followers exhibit the glazed-eye loyalty and evangelistic fervor found nowhere else in the business world but universally at MLM recruiting events. Millions of people believe in MLM, and the FTC's endorsement of MLM as "legitimate" is the pillar of that faith. Like Herbalife's Latino immigrant followers, Vemma's young student aspirants view Vemma as their onlyeconomic haven from downsizing, high education costs and debt, foreclosures, corporate greed, government indifference and discrimination, and as their last chance for the American Dream. The specific basis for their hopes, belief and investments in Vemma, which have now been smashed by the FTC, rests on the unique and defining model common to all MLMs. Vemma offers the chance to gain extraordinary financial rewards to all those that successfully recruit large downlines, plain and simple. These income-generating downlines, under the classic MLM plan, are said to expand to "infinity", producing "unlimited income." The electrifying offer - which no job, profession or conventional business ownership could ever make - is delivered with mesmerizing effect to each recruit, able and willing to pay entry and ongoing costs and work to build their own downline. It is a standing offer unaffected by geographic limits, competitors, pricing or stage of expansion of Vemma in any area. The opportunity is said to never diminish no matter how large the number of past or existing sales representatives. It is said to be immune from market saturation. On this financial proposition, Vemma is an identical twin of Herbalife, and a direct descendant of Amway. On Wall Street, all publicly-traded MLMs are part of a single sector, genetically marked by their common financialoffering, which transcends their disparate product offerings. Vemma's founder, in fact, used to be in Amway. By this unique financial offer all MLMs are exclusively distinguishable from all other types of sales enterprises, such as brick and mortar and on-line stores, or managed direct selling such as conventional insurance companies. For Vemma's defenders and all others in multi-level marketing who similarly employ the "unlimited" income proposition, the first fact to notice regarding the FTC Vemma prosecution is that the FTC never once uses the term "endless" in its complaint! It does not assert anywhere that such an offer of income, based on an infinitely-expanding, non-diminishing market for recruits and sales, is illegal, unfair or even deceptive. In the Vemma complaint the FTC reasserts its view that MLM, whose hallmark structure is an endless recruiting chain of distributors, is legal and legitimate. A proper response to the prosecution of Vemma is to assert, factually, that the FTC's action is indefensible, given the over-arching FTC posture and record of actions toward multi-level marketing and that, essentially, Vemma's business practices are the same as those of hundreds of other MLMs that the FTC tacitly endorses. The FTC's repeated assertion that MLM is "legitimate", must refer to MLM's structure, policies and compensation - as currently and commonly practiced - if it means anything at all. Vemma will not be found to operate outside those parameters, as currently and commonly practiced. Lack of what the FTC calls "sales to ultimate-user consumers." Income claims and testimonials that are true only for a very few. High failure rates among participants. Emphasis on recruiting over retailing. It appears the FTC has never ventured into the real world of MLM business if it believes the endless chain income offer, the defining trait of all MLMs, is legitimate, yet such a model can somehow operate without market consequences. The FTC is now calling these market consequences unacceptable and evidence of "illegality" under the FTC Act, Section 5. How does the FTC think a MLM participant could ever profitably "retail" products to "ultimate-user consumers" when the "endless" offer is designedto continuously add more and more "retailers" in all areas, forever? The two commercial practices, profitable, home-based retailing and proliferating competitive sales reps in all areas, are incompatible, mutually-exclusive. The FTC cites that Vemma does not publicize a manufacturer's suggested retail price on which its affiliates could base and then earn retail profit margins. Are we to believe that publishing such a price list means anyone would be paying it? Where are the customers of the companies that do publish such pricing lists? Where are MLM door-to-door canvassers? Anyone ever seen one? With average annual purchases of all MLMers being only a few thousand dollars a year at best, how could anyone justify time and cost to do retail selling on their own? Even more obvious, why would there even be a need for retail customers in the MLM model when the distributors themselves are buying, on average, far more than a typical customer would for the same goods? The pay plan and structure are based on the distributors serving as the customers. Has the FTC not heard the famous Amway admonition to its IBOs, "Buy from your own store and then go find others to do the same!" The recruits are notadvised to knock on doors to sell soap, for heaven's sake. They are advised to buy for themselves and then to "duplicate." Amway is the namesake of the "rules" that are supposed to prevent deception, harm and pyramid recruiting by requiring that each distributor resell at least 70% of product purchases and always have 10 active customers, equivalent to the FTC's "ultimate-user consumers"). Such a practice would indicate at least 90% or higher of total goods purchased by "ultimate-user consumers". Yet, consider Amway's description of its own retail sales program in a Feb. 29, 2012 video interview of Amway executives, Doug Devos and Steve Van Andel by Wall Street Journal reporter, Dennis Berman. WSJ Dennis Berman: "What percentage of the end products are sold to the general public and not to the Amway salespeople directly?" Amway Doug Devos: "That's always a challenge to kind of find exactly what that number is. But it's a large percentage. Probably... our research probably about at least half or more would go to an end-user, and ultimately all of its goes to an end-user. Even if somebody happens to be a distributor, they are their own best customer. So I would say on a strictly speaking standpoint, a hundred percent, because everyone, at the end of the day, is a customer and they see value in the product or else they wouldn't buy it." Can anyone find "emphasis on retailing" in that answer? Any difference noted between an "ultimate end user" and one that "happens to be a distributor"? If every Amway rep has 10 customers but only half of distributor purchases are subsequently retailed to ultimate end users, then the Amway reps themselves would have to buy and consume, on average, 10 times more than each of their customers are buying! What the…? "In sum, unlike legitimate multilevel marketing businesses, Defendants reward Affiliates for recruiting and for purchasing products to maintain bonus eligibility rather than for selling products to ultimate-user consumers. Can the FTC verify that most MLMs reward their Affiliates "for selling products to ultimate-user consumers?" How would the FTC be able to do that? All MLMs pay rewards at point of purchase by the distributors, not their ultimate-user consumers. MLMs don't require retailing. They don't monitor retailing. Moreover, they promote policies that thwart retailing such as selling to some distributors at much lower prices than they do to others (like Herbalife does, for example) or swamping all markets with competitive retailers (as all MLMs do) or offering the "wholesale price with income opportunity" to every consumer, thereby subverting the retail price offering. Who could profitably retail in such an environment? Who would even try? It is preposterous. So, how does Vemma show up anomalously as a "non-retailer"? It is actually operating in a manner typical for all MLMs. The application of this mythical standard of legality in order to target and take down Vemma is "unfair and deceptive." The FTC seems shocked, shocked to discover that few Vemma sales reps make any profit. Yet, it is not physically and or mathematically possible for the MLM system to work, if many could gain the promised high incomes or even if most could earn a little bit of income. Isn't this obvious from the start? The money has to come from somewhere. It comes from the downline. They are the "ultimate end users". Who does not know that? Has the FTC been asleep for 35 year? Has it not examined MLM pay plans? For there to be an upline that makes a lot of money from multiple bonuses and higher commission rates, there must be a far larger downline that has not yet made money, but is still trying. Without a viable retail income option, downlinerscannot make money until they build their own downlines and thereby work their way into the upline. It should be obvious to anyone, that only a few can make money, if funds for rewards are coming from the distributors' own money! And it is surely indisputable that the money that is gained by a few at the top of chain comes from the losses of all the others at the bottom. In 2012, Nu Skin's disclosures showed - after applying the same kind of analysis that the FTC did to Vemma's - that 95% of all its distributors gained no commissions at all! In the same year, Herbalife informed the world that the average income of the bottom 99% of its "Leaders" was less than $15 a week, before all costs (also requiring analysis of data). The FTC, therefore cannot legitimately call Vemma's high loss rates a flaw or a violation. It is baked into the MLM model itself. Isn't this obvious at a single glance? Does this have to be explained to the FTC? Far from a violation perpetrated anomalously by Vemma, the gross income disparity is one of MLM's greatest motivators to push product into the market, that market consisting ultimately of the distributors themselves.The upliners are put on stage at all MLM recruiting rallies to tell their rags-to-riches stories in order to inspire the downliners to follow their path. If market-based and profitable retailing is the norm in MLM, where is this happening? Where are the profits? Where are the customers? If it is notgenerally happening, and recruiting is the only actual option, then singling out Vemma for the resulting loss rates is "unfair and deceptive." The FTC has singled out Vemma for improper or inadequate income disclosure, which the Complaint argued obscures a massive loss rate. Is Vemma different from the mainstream MLM community regarding transparency? The FTC recently exempted all MLMs from making anydisclosures at all. Now, Vemma is attacked for making insufficientdisclosure. This is rich. Most MLMs, such as ACN, the high profile MLM company identified with Donald Trump, offer no income disclosures in the USA at all, which the FTC permits them to do. The very idea that the FTC has used loss rates or inadequate disclosure of loss rates to shut down Vemma is bogus. Since 1979, the FTC has never called the MLM model illegal. To the contrary, it has defended and protected it even, as noted, from disclosure regulations. Under the leadership of Consumer Protection Bureau chief, David Vladeck, the FTC officially concluded that MLM did not warrant inclusion under a newly adopted rule to require financial disclosures by companies that solicit consumers for "business opportunities." MLMs solicit more consumers for "business opportunity" investments than all other types of enterprises combined do. In that ruling, the FTC also claimed that no evidence had been presented by MLM critics of "widespread fraud" in MLM. In sum, the FTC declared that MLM, as currently practiced, is not deceptive and not causing harm. Making this claim even more tangible, in a January, 2013 television documentary, entitled "Selling the American Dream" with CNBC journalist, Herb Greenberg the FTC's Consumer Protection Chief,David Vladeck, questioned whether any consumers are ever harmed, even when they lose money in MLM. Herb Greenberg: "Well, if 90% of the distributors are failing, what does that say? If- "
David Vladeck, former Chief of Consumer Protection, FTC: "It doesn't mat- "
Herb Greenberg: "What kind of a business is it if 90% of 2.7 million every year-- right now we're talking 2.7 million distributors for one company." David Vladeck: "It doesn't mean that-- that-- that doesn't mean that the company made misrepresentations. And it doesn't mean that the people who-- who bought these-- franchises or participated in these schemes necessarily feel that they were injured." So, how is it possible now that Vemma has been singly identified for causing "harm" due to "losses." By structure and pay plan Vemma is text-book MLM, no different from hundreds of other MLMs that use the "one-to-one model" rather than the "party plan." One-to-ones are by far the most common form of MLM and represent the vast majority of revenue. Herbalife, Nu Skin and Usana are all "one-to-one" MLMs. The FTC's singling out of Vemma either contradicts the FTC's stated view that fraud is not entrenched in the MLM mainstream, or it is evidence of capricious and irresponsible law enforcement. In conclusion, for putting the Vemma prosecution into context, it will useful to briefly summarize the hallmark traits of Vemma that establish it as mainstream MLM, not an outlier or outlaw. A review confirms that the market practices the FTC is citing as evidence against Vemma are the inevitable market consequences of the MLM business model as commonly practiced and which the FTC asserts is generally free of fraud, and not even needing of disclosure requirements. These traits are predominant and defining. Theycause the market consequences that the FTC is now pointing to in its Vemma complaint as signs of Vemma's singular illegality. Credit for codifying a set of traits that define MLM's business model goes toDr. 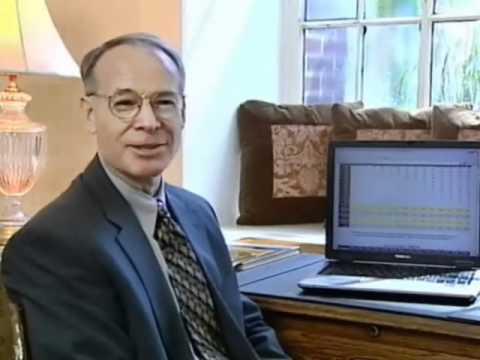 Jon M. Taylor whose analysis is based on years of observation, direct experience and study of hundreds of MLM pay plans and available MLM income disclosures. The following list includes, augments and slightly modifies the traits he identified. 1. Endless Sales Chain: Vemma's sales organization is structured as a multi-tiered recruiting chain, with as many as 18 "ranks." As in all MLMs, the Vemma chain is said to have "infinite" extension capacity. MLM ranks and levels, when there are five or more, have no meaningful function for sales or management. However, they elegantly leverage and drive the recruiting function, which is synonymous with sales, since payments and rewards are always tied to buy-sell transactions by the recruits themselves. This unending and ever-widening structure serves as the basis for rewards in which each participant can gain income from the purchases made by those personally recruited and all those subsequently recruited. 2. Reward allocations for each "rank" escalate with the ascending ranks on the chain, resulting in proportionately more aggregate rewards - per transaction - being transferred to the those occupying the highest ranks. This MLM pay formula distinguishes MLM from conventional direct selling where most of total rewards - per transaction - are allocated to the persons closest to the sales who add the most value. MLMs reverse this formula to transfer most rewards - per transaction - to the sectors far above and away from the transaction, those in peak positions gained by recruiting. This MLM pay formula, matched with the leverage of multiple tiers, creates an enormous direct incentive for recruiting, and an equally enormous dis-incentive for retailing. Most MLMs expend 35-50% of their total net revenue - revenue that is derived from the distributors themselves - to rewards for those who recruit, the so called "upline." To be clear, the largest single expenditure of all MLM companies is dedicated to rewarding recruiting, with subsequent "sales" (to distributors) derived from and dependent upon this recruiting. And most of that huge pool of money is transferred by the pay formula to the top 1% of recruiters. From their distributor income disclosures in 2012 for the USA, for example,Herbalife and Nu Skin together paid approximately $350 million to the top 1% of their "active" USA distributors, a combined group of only about 2,200 individuals out of total combined sales force of about 700,000. Herbalife transferred 66% of all the rewards to this peak-positioned group, and Nu Skin transferred 82% of all "distributor" rewards to its top 1%. 3. Payment to Participate: To join the Vemma chain and gain rewards, a consumer must sign a contract and pay money. In return, he receives Vemma product, the rights to sell Vemma products, and the authorization to recruit others into Vemma. To remain qualified for the future potential rewards the Vemma "affiliate" must maintain purchase production either by quota-determined monthly personal purchases and/or securing purchases from those recruited. This ongoing requirement can be met, as in many other MLMs, by establishing a monthly "auto-ship/auto-charge" plan. Even though the MLMs provide no territorial protection or marketing support, MLM affiliates, coaches, IBO's, etc., always must pay-to-participate and pay-to-keep-participating. Vemma's plan is indistinguishable from too many other MLMs to bother counting. Lacking an external retail market, it is likely that MLMs revenue stream would be devastated if the "pay to play" requirements were dropped or made "illegal" as the FTC prosecution of Vemma seems to imply they are, at least for Vemma. 4. Closed Market: This trait is more consequential than causal, but should be highlighted as fundamental and universal, due to the MLM structure and the pay formula. A substantial portion of the total Vemma revenue, nearly all, comes, ultimately, from the purchases made by the Vemma "affiliates" themselves (those under contract and eligible to participate in the pay plan). It comes down to the simple question, where does MLM reward money come from? It comes from the people inside the sales chain. For the last ones that join to benefit, therefore, they must try to extend and enlarge the chain. This is by design and never changes. In MLM parlance, the purchases made by the downliners are "self-consumption." Transfer of commissions (rewards) to the upline is triggered by payment and shipping to the affiliate (distributor) below (downline), with no monitoring of future activity for the inventory. "In sum, unlike legitimate multilevel marketing businesses, Defendants reward Affiliates for recruiting and for purchasing products to maintain bonus eligibility rather than for selling products to ultimate-user consumers." Can the FTC produce or name even one MLM, using the one-to-one model, that "rewards Affiliates for selling products to ultimate-user consumers, over recruiting?" Can the FTC find even one MLM participant that is earning sustainable profit only from retailing to "ultimate-user consumers"? If not, case closed on Vemma, or case opened on all the other MLMs. 5. Promotion by Recruiting: Ascendancy on the Vemma sales chain comesonly and automatically from recruiting activity of more and more consumers to join the chain and make purchases of Vemma's product line. Promotion to upper ranks is not conferred by upper management. Personal sales, alone, could never lead to higher ranks. It is economically impossible to rise on the Vemma chain without recruiting. Recruiting is enshrined as the central focus of the enterprise by structure, policy and by pay formula. This is standard for MLMs. To single Vemma out for this practice as anomalous is to pretend that other MLMs offer a practical alternative to getting the pot of gold at the top of the chain, other than by recruiting. FTC officials may sincerely believe that Vemma is a singularly bad actor and should be taken off the market, to protect the consumers. And it is very clear that the honest and hard working attorneys and investigators and various experts and consultants participating in the case are providing valuable public service. The One-Off Protection Racket of the FTC: The FTC's single-shot prosecution policy that is continued in this Vemma case, would logically lead a consumer to believe that all other MLMs are "legal." In fact, it was this very policy that likely led hundreds of thousands of young students to accept Vemma's legality on faith for ten years! The FTC's prosecutions are always presented as "one-off" events, with no legal precedence or meaning to any other MLM. There is nothing that a consumer can infer in the FTC's policies toward other MLMs from any previous MLM prosecutions. Fragmenting and Dispersing Pyramid Schemers: If Vemma's top recruiters are culpable as well as the company itself, as the FTC Complaint says, then taking down Vemma only disperses, fragments and exacerbates their illegal activity. Whether Vemma is illegal or not, the dispersal of its top gun recruiters into other MLMs is already underway, fueling other MLMs with ready-made downlines and fresh recruiting energy. Net effect, more pyramid recruiting. Vemma's highest profile recruiter was Anthony Powell who famously, and hurriedly, exited Herbalife, after 22 years, presumably due to his involvement in a "sales lead generation" business with Herbalife. He moved seamlessly from Herbalife to Vemma, bringing along many followers, (showing in yet another way that the difference between Vemma and Herbalife and hundreds of other MLMs is de minimus). With Vemma now being burned at the stake, Powell is busily founding a new MLM. "500 sign ups this am alone..... it's out of control !! Are you going to watch this explosion or join history in the making . Please keep private messaging me I'll get back to you all . Understand thousands and thousands are joining and my staff and I are getting back to you all. Thank you for your patience . Excited that I can now mentor so many of you how to grow a org that develops leaders. This pre launch is Breaking History lets gooooo !! Email ap@iofficeteam.com to reserve your spot!! AVP"
There are other MLMs that are, reportedly, beneficiaries of the forced migration of Vemma's top guns and their minions, See the clarion called issued by one Vemma leader to join him in his New Jerusalem, an MLM called, Jeunesse, yet another DSA member company. The plain truth is the FTC's prosecution, assuming it is valid in its charges, achieves nothing at all in terms of protecting consumers and the FTC should stop posturing and pretending that it does. FTC, Traffic Cop or Gang Buster? There is one last claim to be addressed regarding the FTC's dereliction and irresponsibility toward MLM. It is the often-cited argument that the poor FTC is like a beleaguered traffic cop that sees thousands of unidentifiable cars whizzing by, all exceeding the speed limit. The cop valiantly tries to stop a few speeders every once in awhile and maybe slow down a few others who see him giving out a few tickets. Further, it is argued that the only remedy for the FTC, powerless in the face of MLM lawbreakers, would be legislative or a decades-long rule making process to define MLM and pyramid schemes. This analogy and proposed remedy are perhaps well intentioned but grossly inaccurate. In the case of MLM, the "speeders" are united and easily identified. They are all driving the same kind of car and they all have the same lawyers. If the analogy were to be made it would have to point out that the speeders are in a syndicate, with leadership. Each one is known, and together they adamantly claim that speeding is not illegal! How to break a syndicate, if it is engaged in orchestrated law-breaking? Certainly not by occasionally arresting the lowest level operators for minor offenses unrelated to syndicate's main activity. An effective gang-busting strategy is well known by federal law enforcement officials, including the FBI and, presumably, the FTC. Bring charges against the leaders, the biggest players. Until the FTC initiates an industry-wide investigation of "Amway Rules" enforcement, and until it applies the law equitably to large MLMs that it is now bringing to bear on little Vemma, since Vemma cannot be found to operate differently, we may as well watch the ensuing case as theater, not consumer protection. But, if you are in MLM or a shareholder in one, don't mourn for Vemma or wonder for whom the next FTC bell tolls. It could be for thee. Robert FitzPatrick describes exactly the same situation that you have described David, but he's not so extreme in his choice of words. Perhaps you'd like to enlighten my readers as to what you find 'so extreme' about my choice of words? Your recent comment was extreme David. "The idea that the Commisioners had to take a vote on this, is both frightening and funny. The 'MLM' fairy story has been allowed to spread around the globe for more than 60 years, without any rigorous challenge to its overall authenticity from US law enforcement agents. Personally, I think that the last people on Earth who should be tackling any part of the 'MLM' phenomenon, are US trade officials. Notice how this FTC press release still employs the thought-stopping term 'MLM' without qualification or irony. In respect of the wider 'MLM' phenomenon, for a very long time I've been saying that you can fool some of the people all of the time and all of the people some of the time, but you can't fool all of the people all of the time (with the notable exception of the many ambitious dunces with law diplomas, temporarily holding down low-paid jobs at the FTC, like former FTC Commissioner, Pamela Jones Harbour). I'm now very curious to learn what differences the current crop of FTC officials might put forward between the 'Vemma' racket and all the others, particularly the one called 'Herbalife.' "
Anonymous - What you thoughtlessly describe as 'extreme words,' form merely an accurate and fully-deconstructed analysis of an extreme situation (i.e. a very serious chronic failure of US law enforcement to recognise a criminogenic phenomenon of historic significance) which I didn't create. I think the FTC needs to decide if the abuses in Herbalife have been isolated cases or if they have been part of a system. The FTC has looked at Vemma and decided the abuses were not isolated. Anonymous - Perhaps, but in my opininion, FTC officials are more than 60 years too late when it comes to challenging the 'MLM' fairy story. What has come to be laughably-referred to as the 'MLM industry,' should now be finally recognised as a major racketeering problem for the FBI. One would have to be pretty naive, and/or stupid, to imagine that all the hundreds of copy-cat corporate structures (currently employing exactly the same reality-inverting 'MLM income opportunity' jargon to hide the key-information that all of them have had effectively 100% loss churn/rates for never-ending chains of ill-informed participants) have not been part of an ongoing criminogenic phenomenon. Effectively universal losses for tens of millions of 'MLM' participants, combined with an effectively universal lack of complaint, proves that it would be far more accurate to describe so-called 'MLM income opportunities,' as reality-inverting invitations to commit financial and psychological suicide. I agree that most MLM companies have a business model similar to Vemma, but I don't see any problem ith FTC going after Vemma. They need to start somewhere. Stopping the entire industry at the same time would not be possible, and it is smart to start with a company they are sure they will be able to shut down and make precedence that will make it easier to shut down other MLM companies. Anonymous - The problem with the FTC going after 'MLM' racketeers, is that the chronic failure of the FTC to protect the public, has been (and remains) a significant part of the problem. All 'MLM' racketeers (including the 'Vemma' mob) have falsely claimed that their activities were perfectly legal and approved by the FTC. Yet the quantifiable results of hundreds of these so-called 'MLM business opportunities' have not been 'similar to Vemma:' they have been absolutely bloody identical, but the quantifiable results of 'MLM' rackets have been deliberately hidden from the boys and girls at the FTC, and, until now, they haven't had the wit to go and look for them, let alone find them . There are approximately 1400 copy-cat criminal rackets (laughably described as the 'MLM industry') hiding behind legally registered corporate labyrinths in the USA. There are former senior FTC officials who should be facing racketeering charges themselves for allowing this tragicomic situation to come about. Many thanks for your efforts David. I can now see there can be no other solution of the MLM puzzle than the one you have laid out in these clear comments and Mr. FitzPatrick in his article. This insightful ruling is quite extraordinary when you know that it could be applied to literally hundreds of other 'MLM' front companies, shielding essentially the same racket, but which the FTC has been ignoring (in certain cases, for decades).